Es hat alles mit den sogenannten Smoothis Bowls angefangen. Quasi Smothie zum Löffeln aus einer Schale (Bowl). Plötzlich war der Instagram-Feed übersät mit farbenfrohen Smoothie Bowls und passte perfekt zum trendigen "clean-eating" Konzept. Mittlerweile sind aber nicht nur Smoothie Bowls angesagt, sondern jegliche Mahlzeiten werden in eine Bowl Variante umgewandelt. 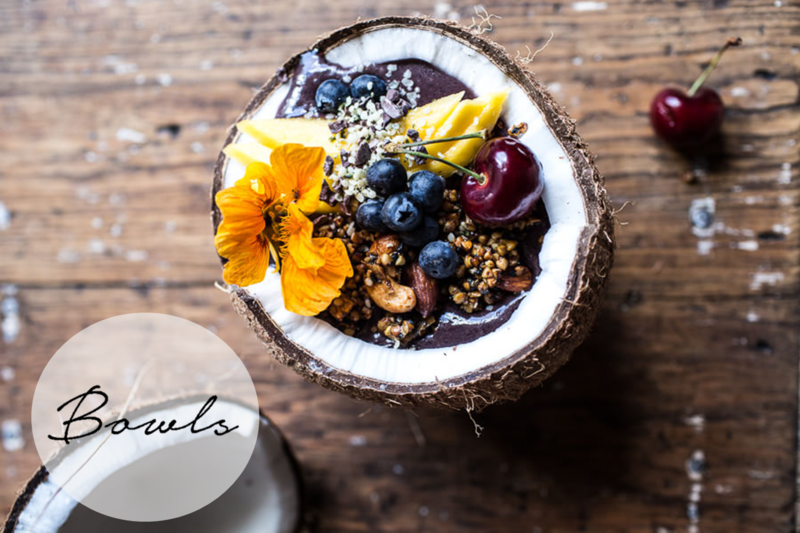 Für gewöhnlich sind die Food Bowls gesund, bestehen aus Gemüse, Getreide und Proteinen und erleben genau so einen Hype, wie die Smoothie Bowls. // It all started with "smoothie bowls". 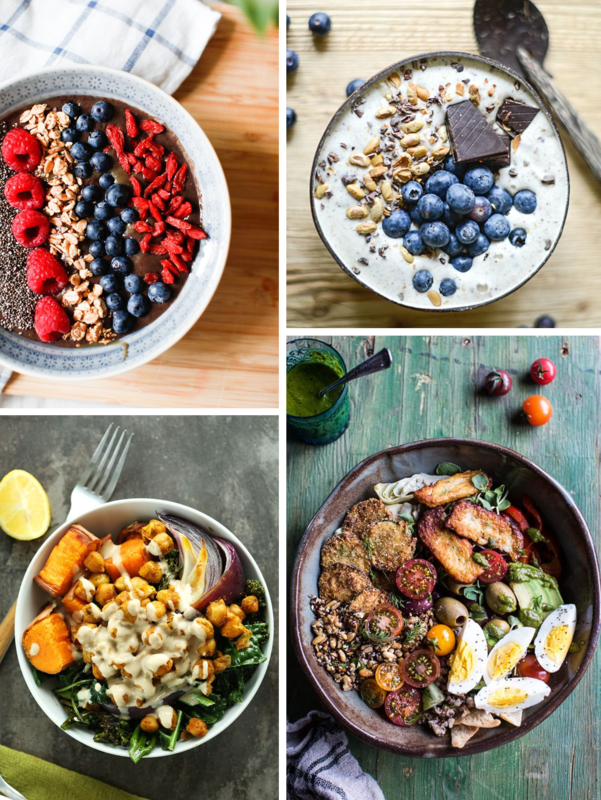 Colorful bowls of food to sup that bloggers floated Instagram with. It suited the clean-eating concept perfectly. Meanwhile, you are not only seeing smoothie bowls but food bowls in general. It is supposed to be healthy, a mix of veggies, grains and proteins and comforting to eat as well. I am a big fan of bowls and already wrote about my visit at The Bowl in Berlin (you can read the article here). As an inspiration I brought some tasty examples for today's post. You can see a lot more recipes and variations on my Pinterest-Board. Oh I love bowls like these! full of yummynes! !